Before I start with my review I acknowledge I was not ready to watch this movie. Let me clarify: I was invited to watch the film and I happily accepted. For an unknown reason I thought Mad Max was something related to cartoons. I haven’t seen before a Mad Max film and I did not do my homework to check where I was heading to. So, of course I got a shock in the movie theater and later I read several reviews about the movie. This film apparently has not middle way, people love it or hate it. In brief, the story of the movie is simple. A group of persons, mainly women, are running for their life across a dessert, while they are chased by a man (Immortan Joe) who “owns” them. All this happen in, I would call, a dystopia. It is a desert world where people main concern and challenge is to to survive with not water. The movie starts when people from Immortan Joe capture Max. For those who have seen previous movies of Mad Max, might know more about him. In my case, only for looking at this film, he is a lonely quiet fighter who, honestly, I have no clue how he survives. Furiosa is the main actress of this film. She is a fighter and a determine woman, who believes, due to her memories, that is a green world out there. The women in this world are, literally, cows. At least that is my impression. The Immortan Joe wants the fresh, virgin women, which are not that many, to have his children. Most of the movie, if not all, is mainly action. The chasing starts few minutes after Max is trapped and Furiosa starts driving an AMAZING truck for a mission Immortan Joe send her. But once she on the road, she took a detour to the east to follow her plan. To reach the “green world” and change the destiny of the young women are traveling with her as incognito. As soon as the Immortan Joe noticed this, the movie’s pursue starts because all those women are his. The women, including Max and Nux (a war boy warrior from the Immortan Joe’s fanatical army, who now is part of Furiosa team) managed to cross the dessert after A LOT of action, where Furiosa remember was her childhood land. Once they reach their destination, they realized they must be back to the original place. So, of them have to cross the desert again, so there is more action. That would be the story of the movie. It is not a movie of dialogs. It is a movie of action, special effects and fighting. If you are in this type of mood and type of movie, unquestionably: Mad Max Fury Road is well done. Personally, I like Furiosa’s truck, it is amazing. Her bionic arm was also interesting for me, and some landscapes were really immersive. The film plays with the visuals and sounds a lot. From the action, the “jumping warriors” were interesting. They were fighting from long sticks, and the band creating “heavy metal” music for the army of Immortan Joe was also attractive for me. Directors look a whole experience, and in this film Miller pays attention to it. Even though I was not ready to watch it and try to close my eyes (and ears) at moment, because I was getting in the experience I was not prepare to have. Need to watch it, now aware of the facts. 🙂 So, I think Miller did a good job on building the whole experience. Toast: What are you doing? From this type of films, I wonder where the gasoline and bullets are produced? Maybe that would be another film. So, if you are in the mood and you like this type of movies, I think it is a good movie! This entry was posted in films and tagged action, adventure, dystopia, sci-fi on June 21, 2015 by caislas. I am very delayed on my postings. After this attempt to blog my time in Korea, I stress my respect for those who blog daily. It is NOT an easy task. Anyway, let’s start to catch up somehow. One of the main activities that took most of my time while I have been in here is polishing my lectures, lecturing and grading. I post about this main activity will come, as I am very proud of my students. Other pursuit in this time has been to catch up with some writing, in which as we know I am “slow” but advancing 🙂 Thus, most of the korean events reported in here, are mainly the social-discovery happenings. 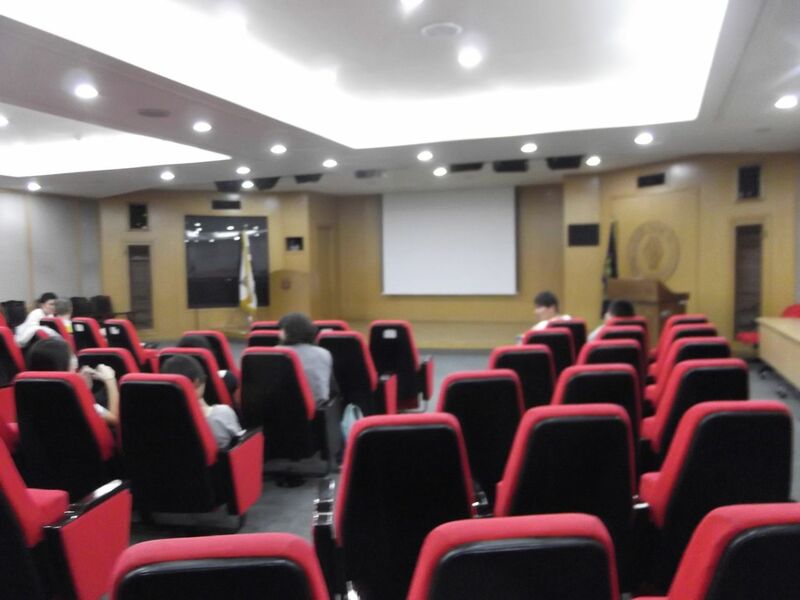 During the summer school we have two movie nights at the video conference room of the Yulgok Hall. In each one of the movie sessions we were so spoiled with snacks and drinks. The movie on July 16th : The thieves. Watch out for Korean films because they are good! 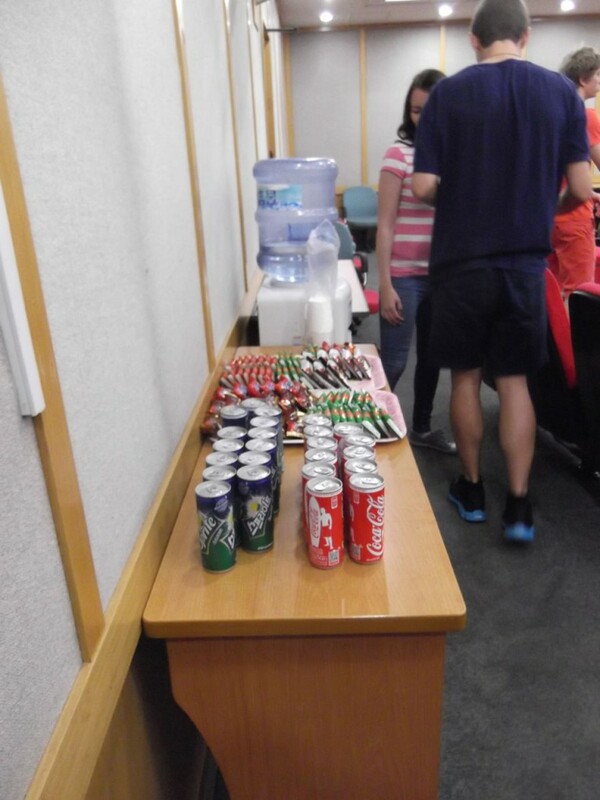 This entry was posted in edtech, films and tagged action, korea on August 3, 2013 by caislas. Today we went to see Pacific Rim at the 4DX movie theatre in Cinepark, Suwon, Korea. I confess my major motivation for this movie was the curiosity about the technology. I would have gone to watch the a 4DX movie independently of the title. Before today, I only had experienced 4D movies in Disneyland but no in a movie theatre. So let’s see. As soon as I saw the theatre sit, it emerge a promising feeling. In the photo you can see metal supporter for your feet instead to leave them on the floor. During these commercials one realizes that one’s sit moves, no only as “rollercoaster” type of movement, but as a massage sit. Ok, it is not a massage, but the idea is that something exactly on your back moves in specific moments. Additionally, one is “shot” with injections of air or water from the front of the sit and from the sides of the sit. Also one can notice a strobe lighting in particular scenes. All these aim to be in synch with the movie. My impression of Pacific Rim is: a typical Hollywood movie, despite to be directed by the Mexican, Guillermo del Toro. The special effects are well done. I like the futuristic ideas, e.g. the computer screens, the robots are cool and some type of biotechnology concepts are interesting. However, the storyline is kind of typical. The movie did not move me. The special effects and technology capture my attention. After the function, my thoughts have been into how will be the movie theatres in 5 or 10 years from now? What kind of movies we will be able to watch? Technology is AMAZING! but we need equally interesting plots knitting the interactive possibilities. I know we are starting…. Ok, one personal suggestion for 3D images, ensure that I will not get a headache afterwards. Somehow 3D gives me a headache after certain period of time. 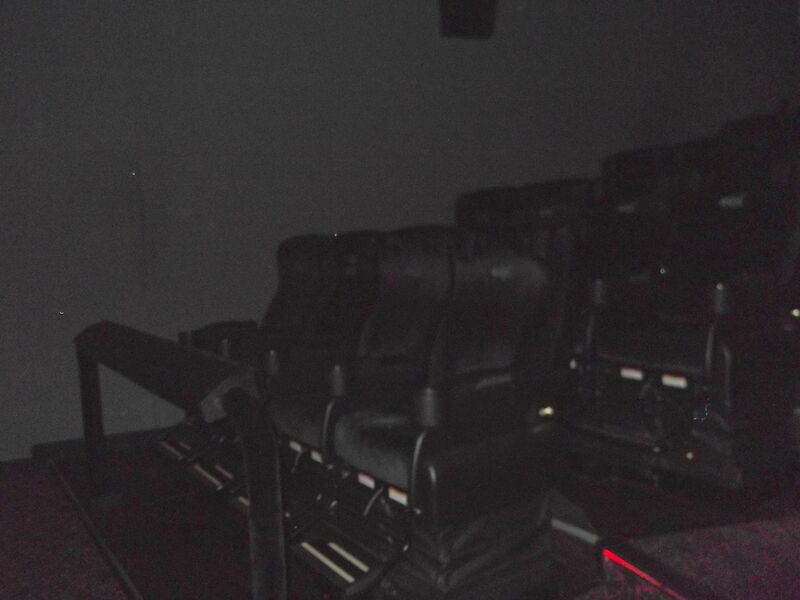 Last but not least, it let me pondering that these 4DX theatres are mainly in “emerging” economies. 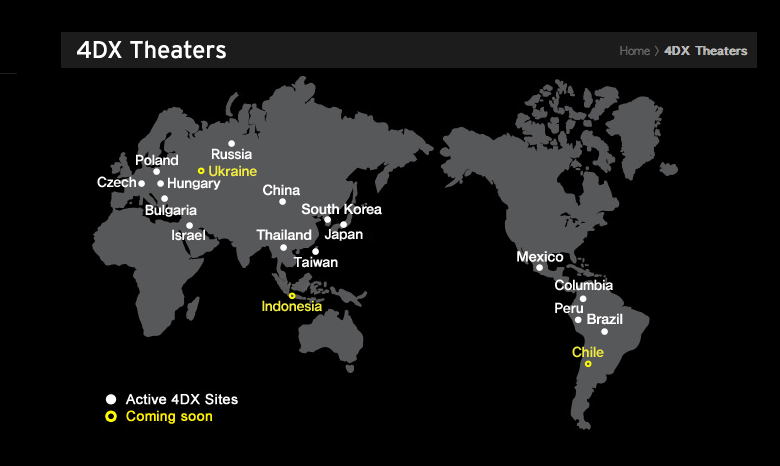 There are not 4DX in USA, Germany, Finland, UK…. I confess I wrote this post fast to thank Insung, who organised the going. Thank you for the opportunity to experience this just release movie in a 4DX experience. I had a good time! 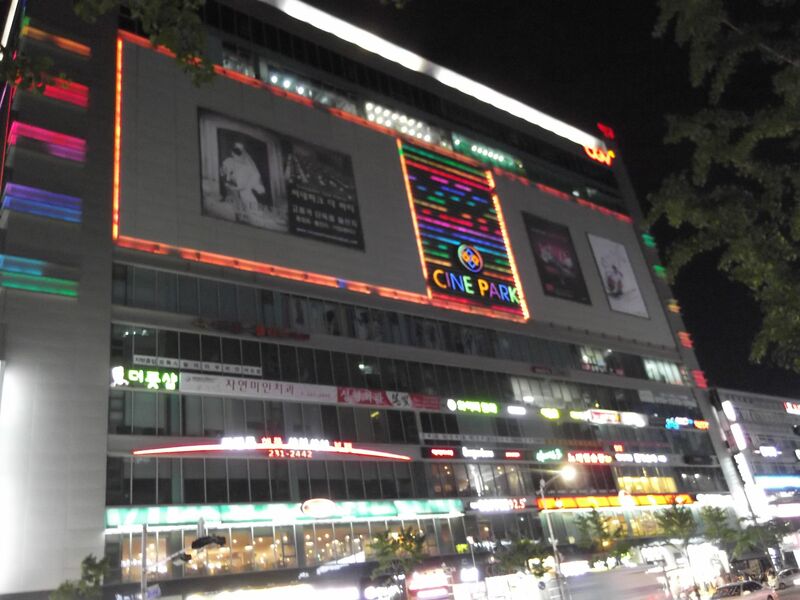 This entry was posted in films and tagged action, adventure, korea on July 18, 2013 by caislas.